It is good to remember that menopause is the end of fertility only, not the end of sexuality and creativity. In our youth oriented country, this powerful change does not occur in a supportive or nourishing environment. It is a difficult time and undergoing this transition with grace and strength is desirable. On the positive side, women of this generation, more than ever before, are asking questions and sharing information. Every woman experiences menopause in her own way. What works for one will not work for all. The whole process, from the first signs of menopause until menstruation stops and one adjusts to the hormonal changes, is menopause. At this time the ovaries secrete less estrogen and progesterone. Besides these fluctuations in estrogen and progesterone, there are other variables that affect how women feel and react to menopause. These include cultural views of menopause, a woman's health history, nutrition, economic status, and adrenal stress. The endocrine system is comprised of the pituitary gland, thyroid and parathyroid, pancreas, adrenal glands, and the ovaries. The adrenal glands take over the job of secreting estrogen after the ovaries stop producing. They convert a secretion called androstenadione into estrone in our blood and body fat. Regular exercise and some body fat supports the transition. Fatigue, depression, and irritability are signs of overworked adrenal glands. Another area of concern for the menopausal woman is bone density. Bone loss will result in osteoporosis. 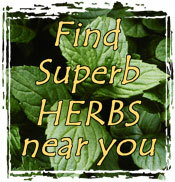 Changes in diet, lifestyle, exercise, and using herbs can help prevent bone loss. A balanced diet high in vitamins and minerals and low in processed food, sugar, salt, caffeine, fat, white flour, and alcohol supports the adrenals and is essential in preventing osteoporosis. Whole grains, dark leafy green vegetables, seaweed (a much higher source of calcium than dairy products), legumes, nuts, seeds, fruit, flax seed, and soy products are all ingredients of a balanced diet. All the herbs must be powdered. Capsule size is "00" and dosage is two tablets three times a day for three months or as long as needed. Black cohosh: Used to balance and regulate hormone production during menopause. Used in many female toning formulas to encourage the production of estrogen. Motherwort: Considered a uterine tonic to support the female organs during menopause. Used for treatment of female gland and hormone disorders. Wild Yam root: Acts to regulate the ratio of progesterone to estrogen in the system. Ginger: Promotes circulation. Acts as a specific remedy where there are problems associated with congestion in the reproductive system. Also good for hot flashes. Kelp: Seaweed rich in vitamins, trace elements, and minerals. Spirulina: Highly nutritive micro-algae. Excellent source of protein, chlorophyll, vitamins, minerals, and amino acids. Yellow dock root: High in herbal iron. The following tea was formulated by Brigitte Mars especially for the female reproductive system. It can be purchased from Unitea in Boulder, Colorado under the name Femininitea. Drink 3 to 4 cups a day. Raspberry leaf: Rich in calcium, magnesium, and iron. An astringent tonic for the reproductive system. Nettles: Rich in iron and strengthens the kidneys. Ginger: Helps alleviate cramps. Improves circulation and digestion. Licorice: Keeps blood sugar levels stable. Nourishes the adrenal glands. Rosebuds: Promotes feelings of love and empathy. Uva Ursi: Excellent diuretic to help prevent water retention and weight gain. Yellow dock root: Helps the liver to detoxify excess hormones. Improves iron assimilation. Chamomile: Calms the nervous system. Sarsaparilla: Nourishes the hormonal system. Rejuvenating. Dong Quai: Rich in vitamin E. Improves circulation, increases energy, promotes menstrual regularity. Peony root: Benefits the skin. Use four to six TBS per quart. Pour boiling water over the herbs and let steep at least 30 minutes. Drink 3 to 4 cups daily. Hot flashes affect 75% of women during menopause. Their length, intensity, and frequency vary in each woman and from woman to woman. They are regarded as mildly unpleasant to downright awful. The cause of hot flashes is not fully understood. It is possible to diminish their effect somewhat with diet and herbs. Remember these are long term commitments. Switch to a grains-based diet and eliminate all sugars including fruit juices. Take Dr. Christopher's Change-Ease formula available in natural food and herb stores. Take 2 tablets three times a day. Concentrate on food rich in calcium and vitamin E.
Take ginseng daily to normalize the body's response to hot and colds and to relieve hot flashes. Drink sage tea daily-1 TBS per cup. Infuse for at least 20 minutes. Use purple sage if you can. If unavailable, garden sage will do. Drink 3 to 4 cups a day. Get dry herbs from a reputable source. Place them in a clean, dry jar. Pour the menstruum (liquid extractor-vodka, vinegar, or glycerin) over the herbs. Completely cover the herbs and add 2 or 3 more inches. Place in a warm, dark place. Shake once a day. Steep for 4 to 8 weeks-the longer the better. Strain, label, and store in a cool, dark place. Take ¼ to ½ tsp three times a day. If you are using an alcoholic tincture and prefer not to have alcohol, add the tincture to boiling water. Remove the water/tincture mixture from the stove and let sit for 5 minutes. Shandler talks about using flax seed and soy products as sources of estrogen during menopause. Also contains recipes. www.radicalweeds.com will take you to Susunn Weed's website. Lots of wonderful information about the nutrition in common weeds. Go to the LINKS, and click on Boston Women's Health book Collective. Type menopause in the search drop down box. This has current and extensive information about menopause.